Use a hexnut or a coin to make a balloon sound like a bee. 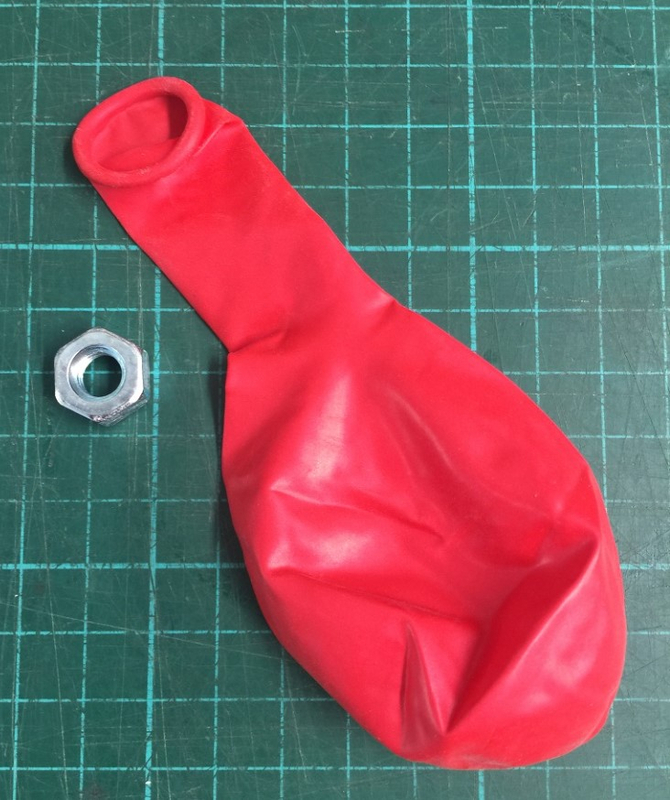 Place the hexanut (or 50 cent piece) inside the balloon, inflate it and tie it off. Hold the balloon as shown and move it around in a circular motion by rotating your wrist. The hexanut should spin around the inside of the balloon and create a strange buzzing sound. 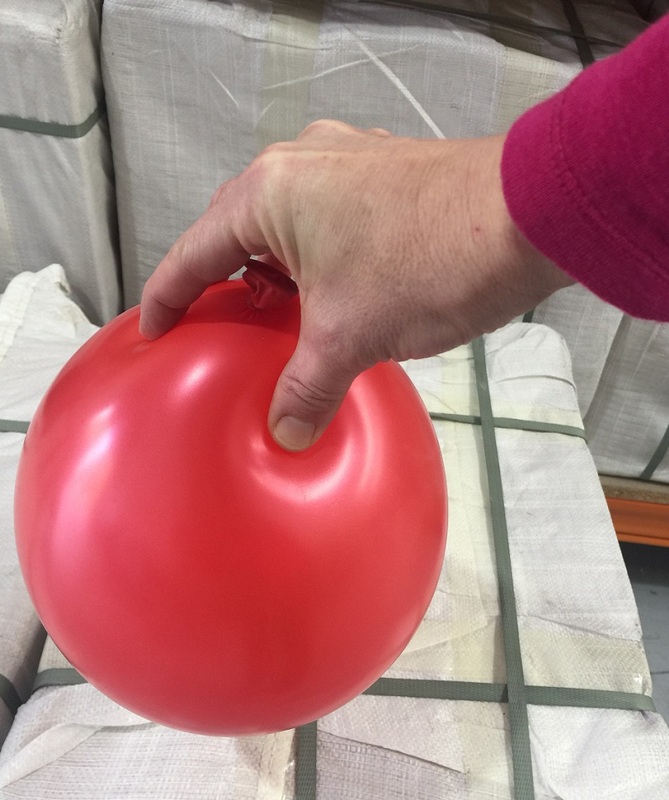 As the hexanut moves around and rubs against the sides of the balloon, it causes the balloon to vibrate, which in turn causes the air both inside and outside the balloon to vibrate. The balloon acts as a ‘resonator’, or natural amplifier, of the sound. 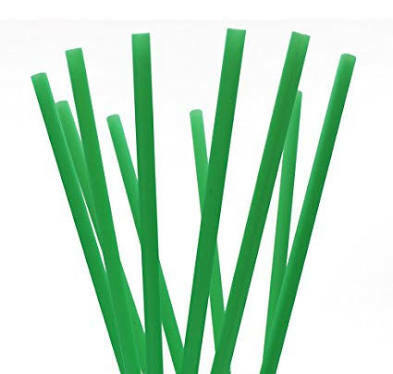 It will be music to your ears: simple drinking straws creating sounds at different pitches. Press the end of a plastic drinking straw flat and cut two triangular shapes off each side to make a pointy end. Flatten this end some more, then seal your lips around the point, and blow. You will hear a squawky whistle, and the whole straw will vibrate. It's a bit tricky at first, so don't rush or blow too hard. Once you have mastered the simple whistle, you can try these variations. As you are blowing, use scissors to progressively cut the end shorter and shorter, and listen to the change in the pitch of the sound. Cut tiny holes into one side to make a straw recorder. Place your fingers over different holes to create different notes.